Non-invasive and highly sensitive, in house ultrasound offers a rapid way to evaluate the chest, heart, abdominal organs, and tendons for signs of disease. This can also be used to confirm pregnancy and viable fetuses in dogs and cats. 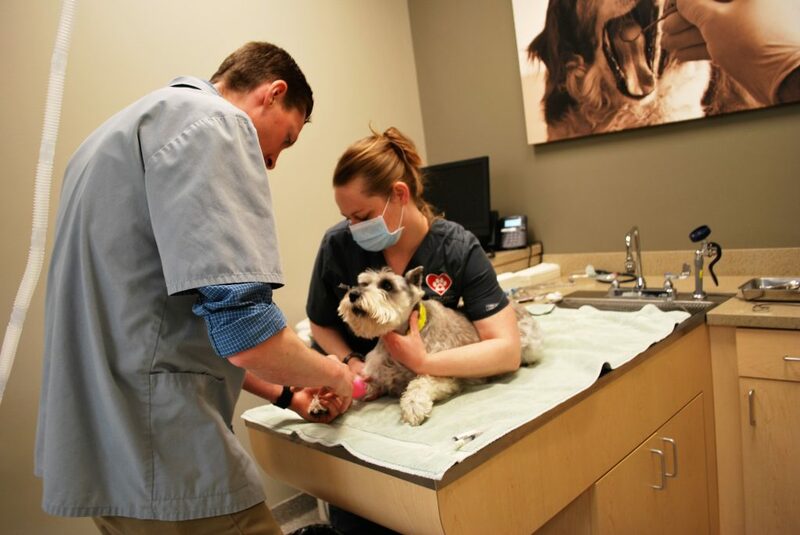 Our skilled doctors use the helpful tool on site to help make your pet’s diagnosis. Images can also be obtained by our certified sonographer and submitted to a boarded veterinary radiologist or cardiologist for evaluation. 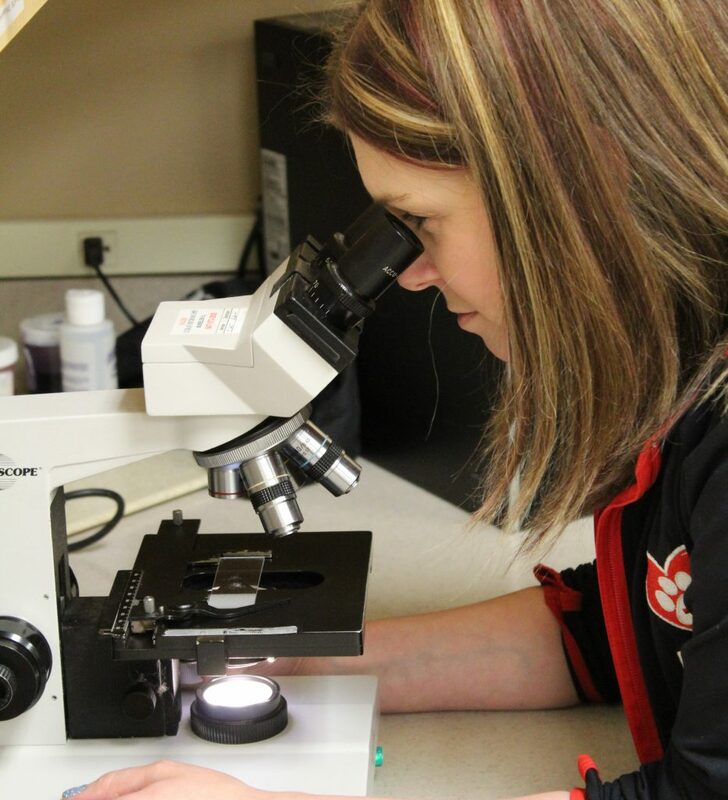 Our hospital has a full in-house laboratory for CBC, organ function,electrolyte and urine testing and we also partner with a full diagnostic lab for further blood and tissue sample evaluation. Lab pick up is twice daily allowing for rapid results. Skin scraping, ear cytology, blood smear evaluation and tissue aspiration can be performed on-site as well. Radiographs can be taken immediately in hospital with our state of the art digital system. Benefits of digital radiographs include immediate results and reduced radiation exposure. Interpretation of the results is done in house by our doctors and can also be sent electronically for review by boarded veterinary radiologist. ONLY OFFERED AT ANIMAL CARE CENTER OF PLAINFIELD, OSWEGO ANIMAL HOSPITAL, HINSDALE ANIMAL HOSPITAL, ANIMAL CARE CENTER OF DOWNERS GROVE & OLD TOWN ANIMAL CARE CENTER. We are pleased to offer a holistic, non-invasive way to reduce pain, inflammation, and to speed in the healing process. With our advanced laser we can effectively treat and manage many different conditions such as osteoarthritis, chronic pain, dermatologic conditions, periodontal disease, tendonitis, and wounds. This painless and safe therapy is also effective at reducing post-operative inflammation and pain. Each treatment takes a matter of minutes and packages are available for chronic use. 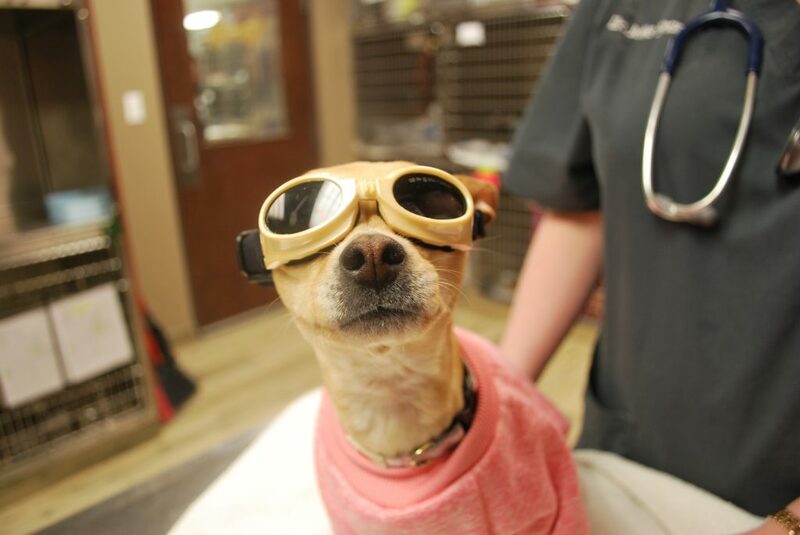 Come see us and have your pet’s laser treatment set up by a veterinarian. 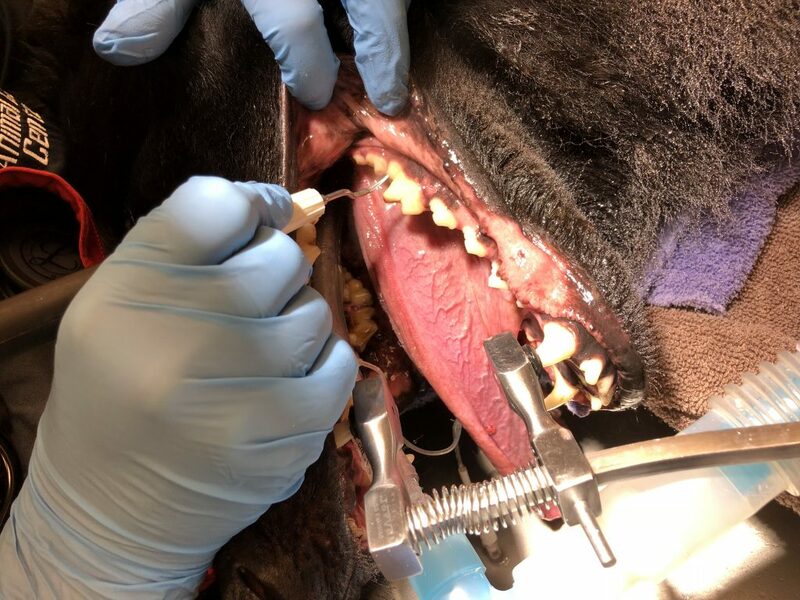 Why have a dental cleaning on your pet? 1. 85% of all pets have periodontal disease* by the time they are 3 years of age. 2. Dental disease can result in bad breath, painful chewing & tooth loss! 3. Bacteria under the gum can travel to the heart, kidneys & liver. *PERIODONTAL DISEASE – It starts when bacteria combines with food particles to form plaque on the teeth. Within days, minerals in the saliva bond with the plaque to form tarter, a hard substance that adheres to the teeth. The bacteria works their way under the gums and causes gingivitis – an infammation of the gums. Once under the gums, bacteria destroys the supporting tissue around the tooth, leading to tooth loss. This condition is known as periodontitis. Gingivitis and periodontitis make up the changes that are referred to as periodontal disease. The bacteria associated with periodontal disease can also travel into the bloodstream to infect the heart, kidneys, & liver. What is included with a professional dental cleaning? growths, wounds, or other problems – We do not offer caps, crowns, or root canals. Titers to evaluate immunity to rabies, distemper and parvo are available. 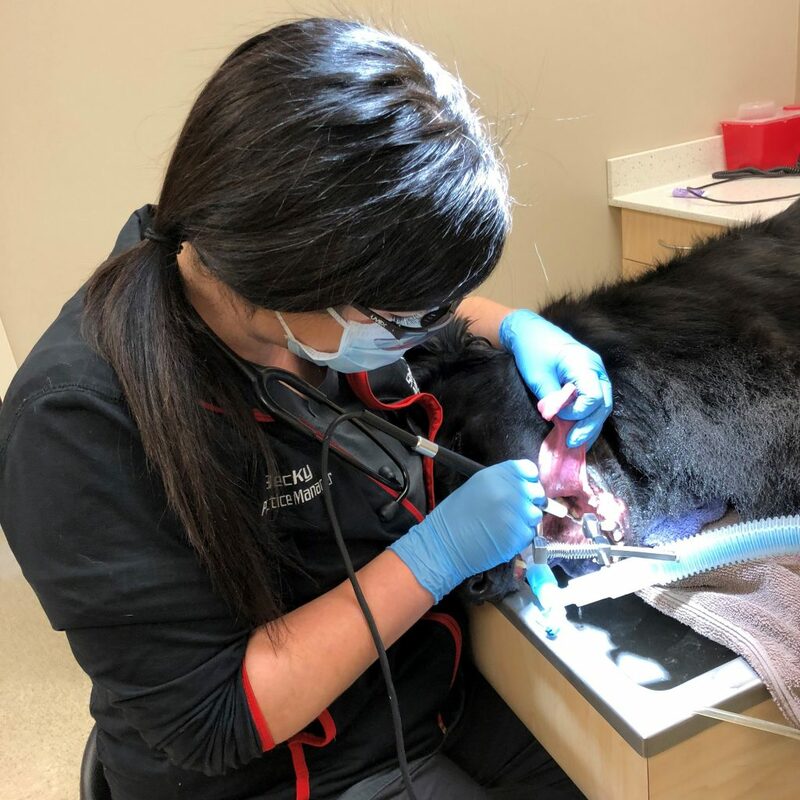 Our facility is open fully staffed with veterinarians and veterinary technicians which allows us to handle minor and more serious medical cases. Capabilities include isolation ward for contagious patients, oxygen cage support, fresh frozen plasma and blood transfusion, IV fluid support, seizure patient treatment, post-operative care, EKG/Ultrasound/Blood pressure monitoring, continuous rate infusions and much more.